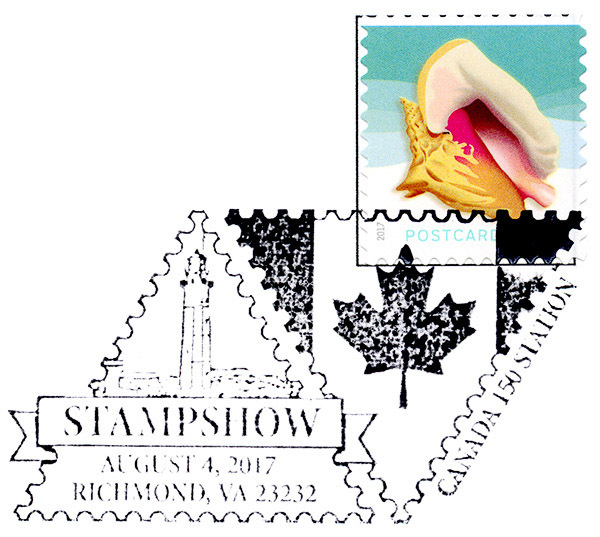 The United States Postal Service offers pictorial postmarks to commemorate local events celebrated in communities throughout the nation. A listing of the current pictorials is located in the Postal Bulletin issued twice monthly. The Bulletin contains a great deal of information, including new stamp issues and information about how to obtain the pictorial postmarks. 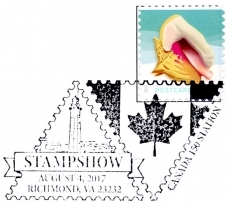 In August of 2017 four such postmarks were produced for the American Philatelic Society show in Richmond, Virginia. 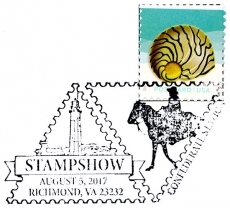 One postmark was issued for each day of the show which ran from August 3rd through August 6th. As part of each postmark is included the show’s logo which features a lighthouse. This entry was posted in Cancels, Lighthouses and tagged United States of America. Bookmark the permalink. WHAT ARE THE YEARS OD ISSUE FOR dUTCH lIGHTHOUSE STAMPS ? ?